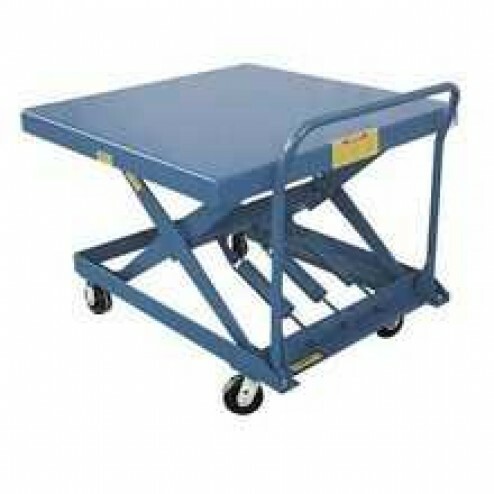 Easily load and unload material loads of up to 500 lbs with this scissor cart featuring a 20" x 40" platform that is easily raised or lowered to an ergonomic height. With the Vestil SCSC-500-2040 Auto-Hite Scissor Cart materials are easily loaded and unloaded by raising or lowering the cart. Platform Size: 20" x 40"